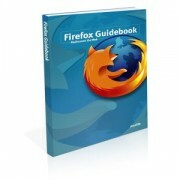 The Mozilla Store is now taking orders for a Firefox Guidebook. The cover sure looks nice. It ships Sep 30th. Looks like it's aimed towards novice users. Order it now for your mom! If I had a credit card, and could afford the internatioanal shipping fees, I would! Too many pop-ups with IE. if you're running Norton Internet Security, disable the browser spoofing stuff built in. firefox is great! however only one problem! 99%of the web sites i visit 'shake' when i go into them? dont know what the problem is? any ideas?? I would order one book and CD for everyone who has a computer in my family. It would be their early Christmas present. # posted by Kenneth (Kete) Wayne Foy, Jr.